The Zulu tribe is one of the most widely known tribes in Africa, mainly because of the very vital part that it played in the continent’s history. Originally, the Zulu tribe emanated from the Ngunis who inhabited the central and Eastern Africa and subsequently migrated to the Southern Africa in the “Bantu Migration” which occurred centuries ago. The Zulu tribe represents the largest population of ethnic groups in South Africa; making up to 10-11 million people. They are known for their strong fighting spirit which has fashioned renowned warriors in history including the likes of Shaka Zulu who played a prominent role in various Zulu wars. 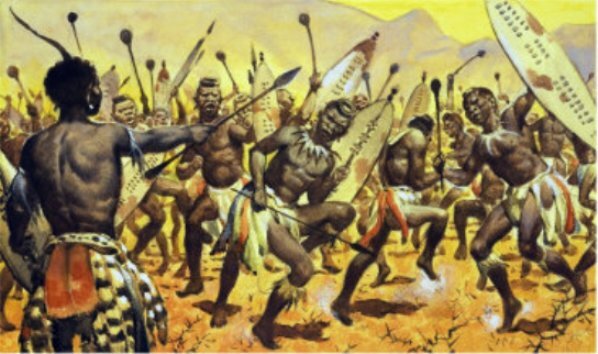 The history of South Africa would not be complete without the mentioning of the Zulu tribe. Outlined below are interesting truths about the Zulu tribe you should know. As much as there are some scattered Zulu- speaking people all over the provinces, the majority of the Zulu-speaking people live in KwaZulu-Natal province in South Africa. Most of the 9 million Zulu-speakers in South Africa reside in this province or have migrated initially from this province to other provinces in South Africa. Since a majority of its population are Zulu-speaking people, it is therefore known as the home of the Zulu Tribe. The Zulu tribe speaks their language which is known as IsiZulu, a widely spoken language in South Africa. It mostly features respect terms which are words used while addressing elderly people. Using first names on an elderly person is normally frowned upon by the tribe and instead, they use terms such as Baba for father and Mama for mother even when the senior individuals are not the parents of the person addressing them. The Zulu people have always strongly believed in ancestral spirits referred to amadlozi or abaphansi. They are simply spirits of the dead. The tribe also believes in the existence of a higher being who they refer to as UMveliqangi meaning “one who came first”. This highest being is believed to be far removed from the people’s lives and that no one has ever set eyes on him. They believe that there is some mediation between the spirits of the dead and “the one who came first “for the people alive on earth. 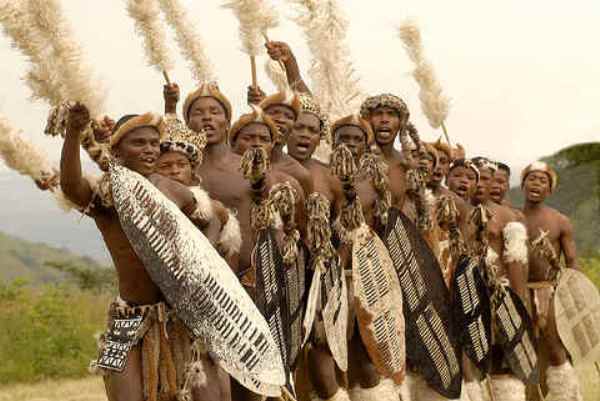 The Zulu Tribe Celebrates Shaka’s Day Annually. They celebrate this day in the month of September to remember the famous founder of the Zulu Kingdom, Shaka. They wear their full traditional attire which includes the weapons and has a gathering at KwaDukuza in Stanger, where Shaka’s tombstone is. The celebrations are known for their colourful quality and the event is also marked by the poets singing the praises of all the Zulu kings starting with Shaka down to the current king. As for the tribe’s wedding ceremony, it can take varying forms. On her wedding day, the bride usually changes at least three times in different colours, to show off her beauty to the in-laws. One of the highlights of a traditional Zulu wedding is when the parties from the bride’s and the groom’s families compete with each other through the medium of Zulu dance and songs. There are special wedding songs and dances called ‘umBholoho’ which form a structured ritual to channel mutual antagonism between families of the bride and groom. As the ceremony proceeds, the family of the groom slaughters a cow to show that they are accepting the bride into their home. The bride, on the other hand, puts money inside the stomach of the cow while the crowd looks on, as a sign that she is now part of the family. The Zulu dances are part of the tribe’s culture usually performed during a traditional Zulu ceremony. During the dancing, it is customary for unmarried and young men to participate, alternating in separate groups, while the married women and men can break in and join the festivities. Ingoma (isizingili) is performed by boys and girls without drums and accompanied by a chant for transition ceremonies such as coming of age, weddings. In the past, it was performed before a hunt or a battle. Ingoma (isishameni) is a harmonising performance which requires clapping by the boys and dancing by the girls. Indlamu dance is performed with drums and full traditional attire and is derived from the war dances of the warriors. The dance requires a show of muscular strength and control of the weapons with mock stabs at imaginary enemies. It can be performed at Zulu wedding ceremonies. Imvunulo dance is performed only by one participant who parades to show off the traditional attire of the Zulu men and women. Isicathamiya dance is performed by men or boys standing in a straight line or arc. The music form symbolizes life in rural Zululand and the townships. People from the Zulu tribe are known for being humane, amicable and very warm. They are known for their practice and belief in Ubuntu which simply means “humanness” or “good disposition”. This humanness is a part of the daily life of the Zulu people. 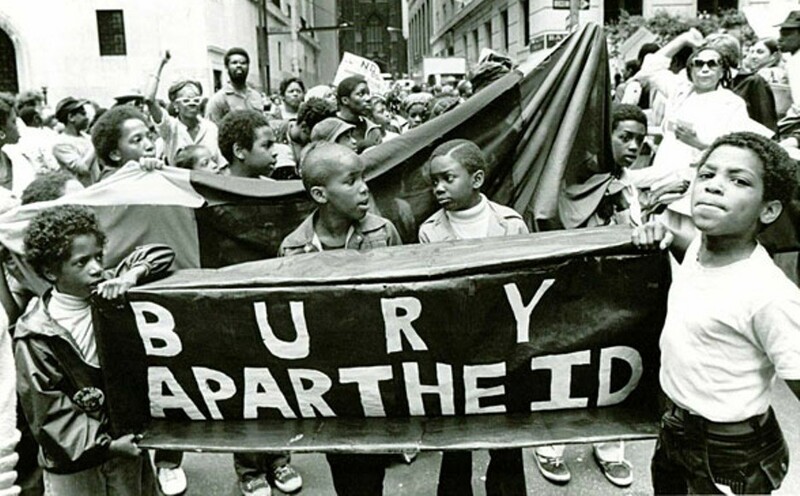 They believe human beings are the most superior of all species hence the strong belief in Ubuntu. They further cement this belief by having many proverbs relating to good and bad behaviour towards fellow human beings. The modern day Zulu Tribe only wear their traditional attire on special occasions. Unlike the past people of the tribe who always wore their traditional clothing, the present day Zulu’s way of dressing is the same as that of any urbanite. The traditional clothing is only worn during cultural gatherings, Shaka’s day and any other special occasions and as such are treated with respect and honour. Rites of passage such as birth, adulthood, marriage and even death are marked and celebrated by slaughtering animals as sacrifices to the ancestors. Dancing and feasting also mark these celebrations. There are many more truths about the Zulu tribe but the above ones are the most commonly known. Are you from the Zulu tribe and how much do you know about the largest tribe in South Africa? Use our comment box below to share what you know.